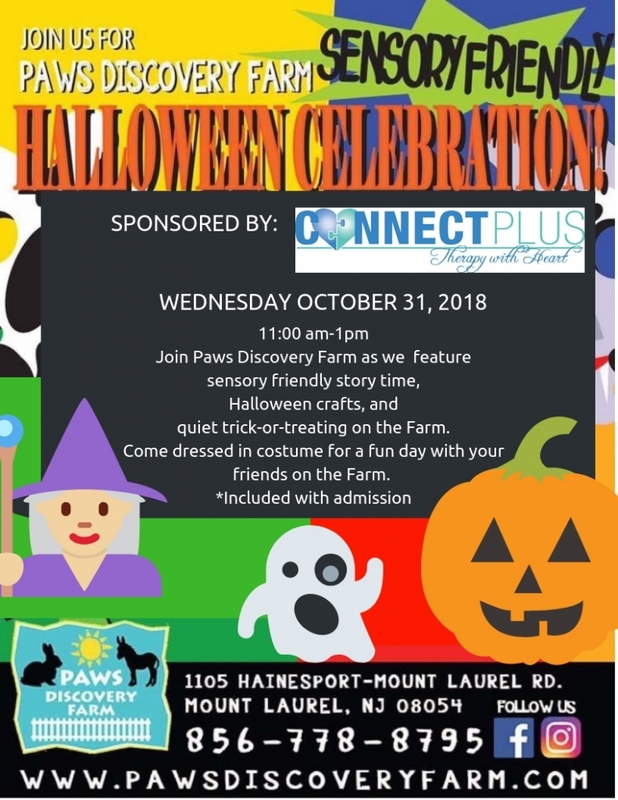 Connect Plus is thrilled to announce a wonderful sensory friendly Halloween Celebration for you and your family at PAWS Discovery Farm in Mount Laurel, NJ. It will be great to see your kids all dressed up on Wednesday October 31st, Halloween Day. There will be; sensory friendly story time, Halloween crafts, and quiet Trick-or-Treating on the Farm.